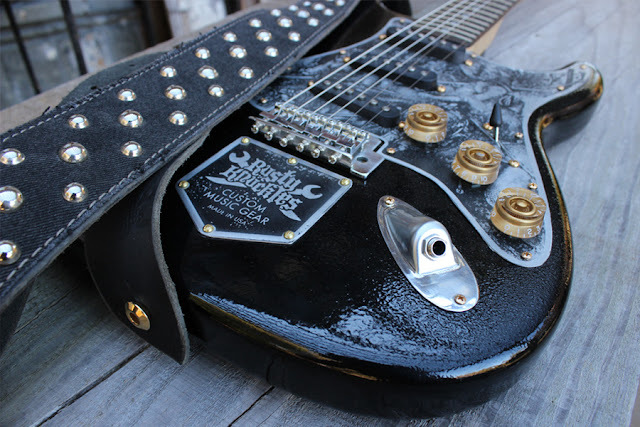 The guitar strap is made out of 8 oz. leather that is tanned and softened to be an easily worn for hours upon end. 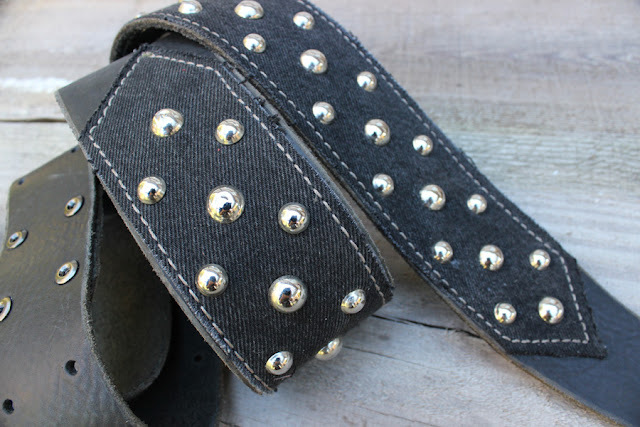 The strap has screw holes cut out for a variety of mounting options and adjusts from 46" inches to 65" inches. 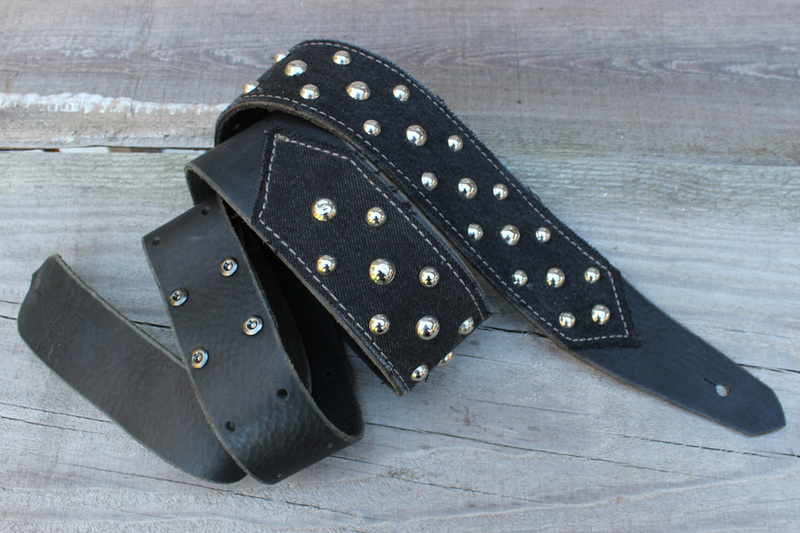 If you are looking for a specific length, just let us know upon checkout and we can get the strap set up to your exact specs for a perfect right out of the shipping box. 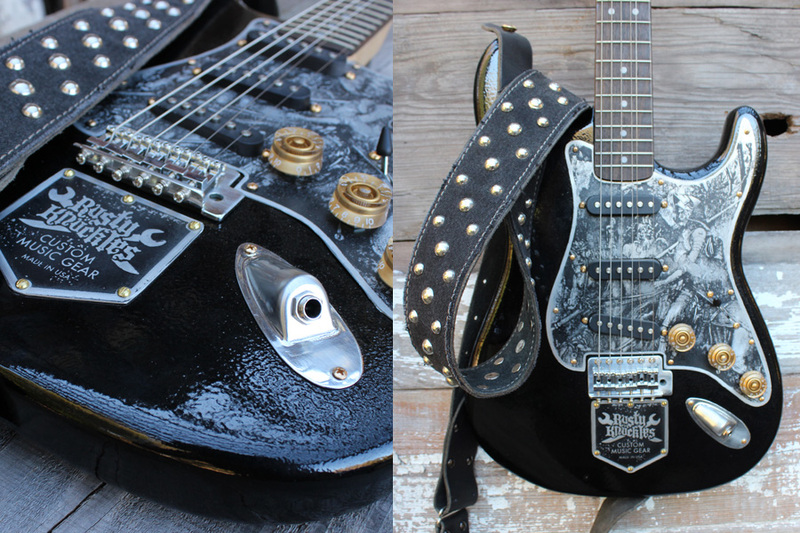 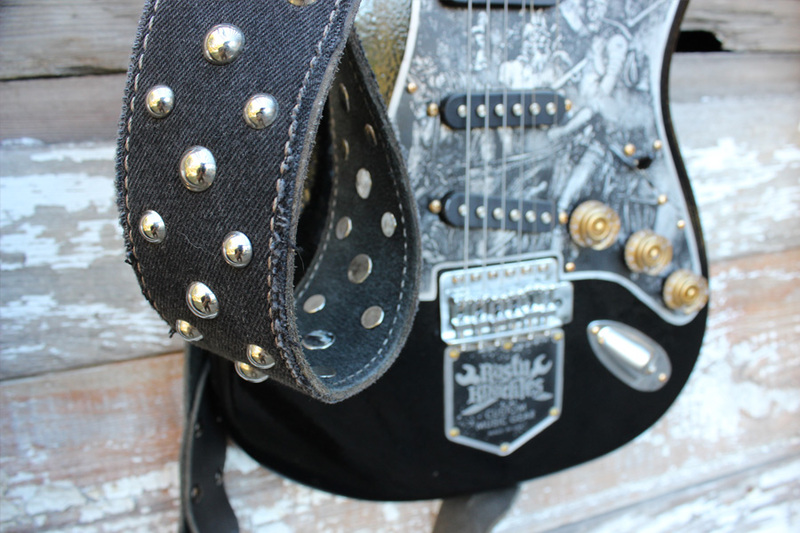 For this guitar strap we use vintage black denim as the fabric, which is then glued and stitched to the heavyweight leather strap. 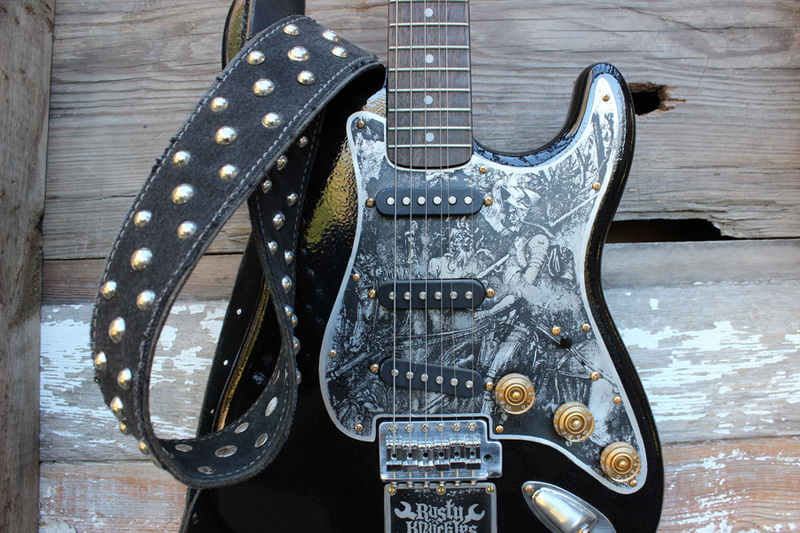 The guitar strap is 2.5" inches wide at full width and then tapers on both ends.